For most gymnasts across both high school and college levels, the season has come to a close or is almost at a close (with nationals being last few weekends). Elite is slightly different with the longer season, but non the less things are towards the end. One area I think gymnastics as a whole really needs to advance their thinking on is what to do after season ends. This is a hot topic, with many top medical professionals arguing the lack of an “off season” is a huge contributor to the very high injury rates and burnout in gymnastics. It’s crucial that athletes recovery appropriately and have a good approach to the summer training blocks. 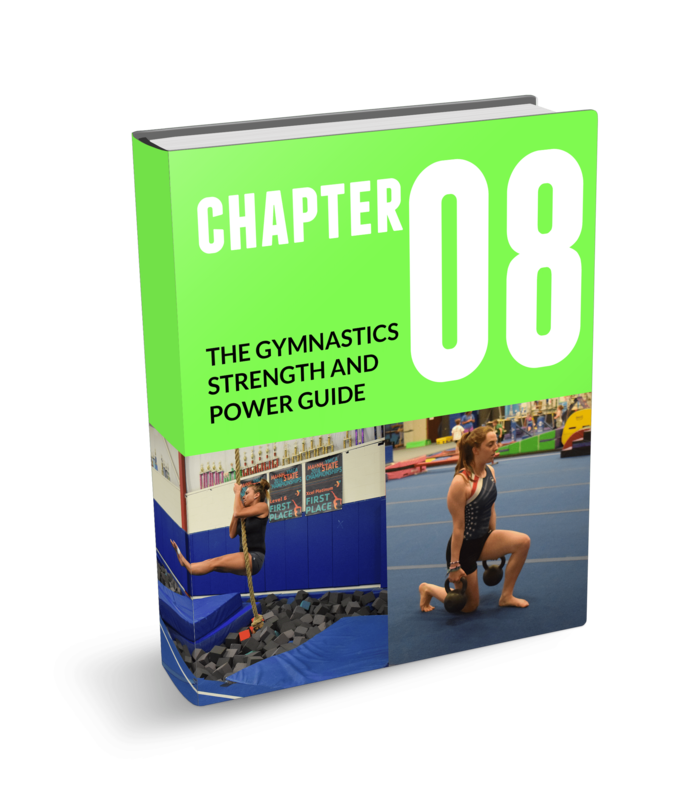 Here are 5 tips as a former gymnast, and current dual coach/healthcare provider for how to go about it. Ahh the classic Monday practice after the season just ended, no more routines! Time to learn all these new skills, move up a level, hammer away on a new strength program, work a ton of flexibility or extra pommel work, and squeeze cardio to keep everyone moving. Hold up. Everyone just calm down. I get it, everyone’s excited. This is common in gymnastics and I used to follow suit, but I have learned the hard way that it’s crucial everyone relax for a bit. One of the biggest pet peeves I share with my good friend Dr. Josh Eldridge is people not pumping the brakes post competitive season. The competitive season of gymnastics can be brutal on athletes (and coaches! ), as it often has many weekends of back to back meets, and also many days per week training at high intensity. Athletes are physically, physiologically, and emotionally exhausted by the end of the season. Not to mention almost everyone has some sort of snowball injury/aches/pains they are dealing with. I can verify this first hand, as I treat 30+ gymnasts a week at Champion from all over New England trying to make it through the end of season. Treat even more in the month of May or June after competitive season ends, as they experience the intersection of old injuries not being taken care of, and new soreness popping up by jumping into summer skill training right away. I also see the same emotional and overall fatigue some days in the girls I coach. My first piece of advice is to give athlete rest. Like complete time off rest. Like not in the gym at all rest. Everyone has different thoughts on this, ranging from 1 week to 4 weeks. I personally aim for 2 weeks of complete rest followed by 2 weeks of gradual ramping back in for the gymnasts I coach and work with in our clinic. Do what is best for your gym, community, and athletes. Although coaches and athletes may shutter at this, I promise they will come back feeling much more recovered, with less soreness, and with a new fire to attack skills / strength. The world won’t end and no athlete will suddenly lose every skill. By doing this you will get much more out of them all summer. Following a period of total rest, slowly start to ramp the intensity of practice back up. Remember we can’t increase the intensity of all training areas at once suddenly. Many coaches claim time off is what may cause an increased risk of injury. I think this is misguided. Issues popping up are way more about a sharp increase in training volume the first few days back to practice where we throw new drills, skill, strength, cardio, and flexibility programs at athletes. I see this over and over during the months of May and June. When athletes get back into practice use basics, trampoline, pits, drills, athlete education / screening (more below), dance, mobility work, shaping work, and lower impact to help get them ready for the 4-month pre-season. For example after some time off, the first 2 weeks of our strength program are an “anatomical adaptation” phase where we really just teach them the program and proper technique of exercises. We keep the intensity low and reps higher, in an effort to help ramp their bodies up for the first 4 week mesocycle of more intense strength coming up. The same two weeks we like to hammer a ton of basics, shaping, and drills for new skills. All and all between rest and ramp up I like to plan 4 weeks of slowly turning up the dial for more intense skill/strength training that is the focus of pre-season. 2- 4 weeks of deloaded time can give months back later in the summer and season when athletes don’t feel like they are running on fumes. By far one of the best things to do with the extra time available right after the season ends is get each athlete screened. I take a week after season end to go through full screens with our gymnasts, covering everything from chatting about pains/injuries that have been going on, to doing a full movement evaluation, to writing them an individualized plan to come in early to practice and do. My hope that is in the next month I will be running these screens and will make the format I use available to the SHIFT community as a resource. If they have something I think is a medical issue, I talk with them and their parents about getting it taken care of. Obviously, I am in a unique spot where I can do these evaluations being a PT. I can promise all readers that finding and paying a well-qualified healthcare provider to do this is invaluable. For the healthcare providers reading, take the first step and reach out to gyms. The kicker here is that both sides must be open to new ideas and follow through so the things found actually go into action. This part of the season is one of the best times to sit down with your entire coaching staff and athletes to talk about the past year. Talk about what went well, what didn’t go well, and what everyone might consider doing differently or repeating because it did/didn’t work. Make sure there is an open table of discussion with no judgment passed. Some of the best teams show the ability to discuss their ideas and feel comfortable within their team. This is valuable athlete and coach feedback. Within the coaching circle, this is the time where to sit down to plan the summer schedule, event rotations, time per event, strength/mobility time slots, and get all your ducks in a row. Then from there delegate out tasks or small projects. For example, I create the strength program, my boss does the coaching/summer schedule, and we all tackle ideas for new skills and progressions to teach the athletes. I also lay out the entire year’s framework for periodization and our overall mesocycle gymnastics or strength / energy systems goals. Organizing hour meetings over a few weeks to get this all in place can do amazing things for your entire gym as the summer and next year approach. I can not stress this one enough. The hallmark of good coaches, athletes, and healthcare providers I have worked with is that they are lifelong learners. From an athlete point of view, teach them the incredibly important concepts of proper nutrition, recovery, landing mechanics, new strength exercises, stress management, sleep, their individual pre-hab programs, and anything you find valuable. Again, investing in qualified people to come in and teach at your gym is big here. Similar to the point above, this is a great time have the athletes you work with take a step back and consider the “why” and “how” to their training. As a coach and gymnast when I was younger, I was guilty of sometimes simply training to train with no set road map in place. Being able to reflect on the last year with your athletes, tell them why things did or did not go how they wanted, and also getting the ball rolling for planning the next 4 -6 months is huge. Teach them about reasonable goal setting, then how to break them down into concrete weekly/daily goals as smaller more feasible steps. Also, write goals for yourself as a coach or healthcare providers working with the athletes. Then write them down or hang them up to be observable and a reference. That’s all for now, and I hope everyone found this helpful. Good luck with the end of season and soon to be start up for the summer.